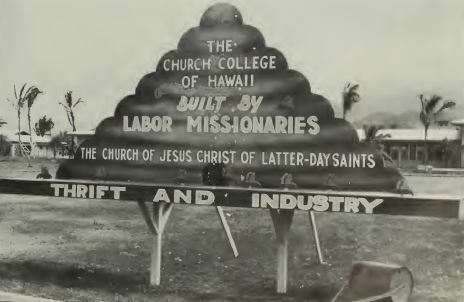 On September 1, 1955, the LDS Church established a labor missionary program throughout the Pacific Islands for the purpose of building chapels and schools. 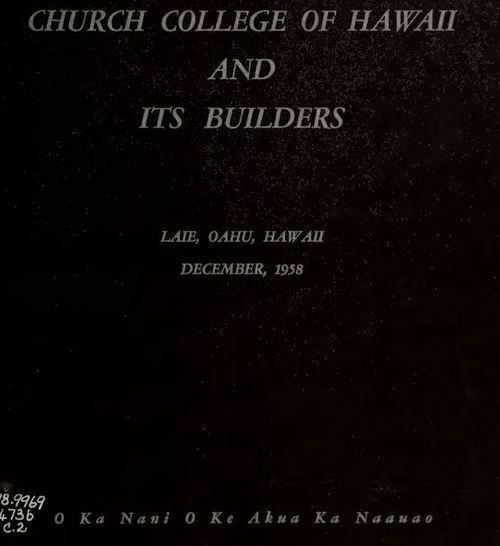 In December of 1955, labor missionaries began working on the campus of the Church College of Hawaii. 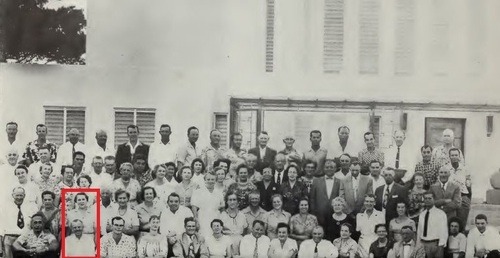 While on his mission, my grandfather supervised the painting and decorating of the college, as well as the LDS temple. 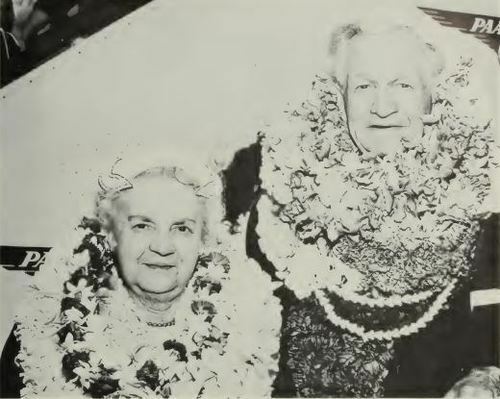 My grandma took care of my mom, who attended Kahuku High School, and worked in the visitor center of the Hawaiian temple. 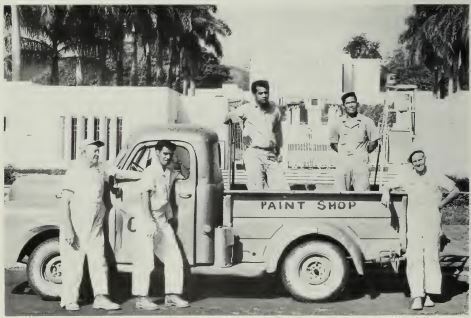 My grandfather’s paint crew was comprised of a group of young Polynesian men who were described as “rowdy” and “unruly.” It turns out that none of them had ever seen a paint brush prior to this. 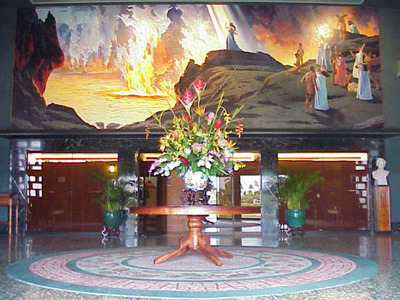 One particularly challenging task my grandfather faced during his mission was the hanging of the murals in the foyer of the administration building. One of these, entitled “Kapiolani Defies Pele," depicts the first Christian missionaries who arrived in Hawaii in 1820. The mural is quite large (32 feet by 12 feet) and had to be hung in sections. My grandfather had learned the art of hanging murals from his dad, Eric Benjamin Lundquist. The paste my grandfather used to adhere the murals contained white lead, linseed oil, and other ingredients. After being gone for more than three years, my grandfather, grandma, and mom returned to Los Angeles. As you would imagine, Hawaii is a very special place for my family, not only because of this experience, but because my family moved there in the 1970’s. In 1978, I was born at Queen’s Hospital in Honolulu.